Apartments on Church offer style, luxury and affordable family-friendly living. 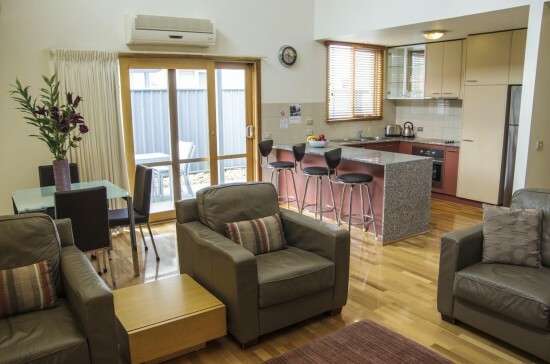 Perfectly positioned right in the centre of Lakes Entrance, park your car and you wont need it again until departure! Our spacious and private 4.5 star two and three bedroom apartments provide a sanctuary for you to relax and rejuvenate in style and comfort by the beach. The furnishings are sophisticated and contemporary in a coastal palette with natural finishes such as stone, timber and glass, to create a feeling of calm sophistication, serenity and understated luxury accommodation.